Basseterre, St. Kitts, Thursday, 7th February, 2019, (MyVueNews.com) – St. Kitts and Nevis is seeking to position itself as one of the “pace-setters for implementing the UN Gender Equality agenda”, according to organizers or a women’s conference scheduled to be hosted here next month. 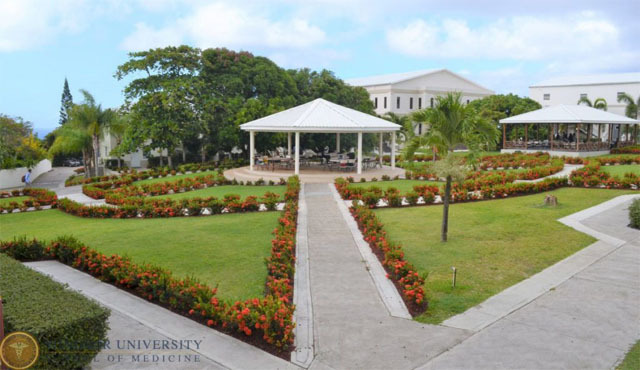 The conference, which is being hosted by the Windsor University School of Medicine in Cayon, will be bringing a delegation of seven (7) distinguished professional women from the United Kingdom to share their expertise alongside an impressive roster of presenters from across St. Kitts and Nevis, said a recent statement form organizers. The International Women in Employment and Business Conference is slated for 1st March, and event hosts say it is already creating excitement in St. Kitts and Nevis and across the region. Participants from other Caribbean islands the USA and the UK are expected to attend the conference. With the UN Gender Equality agenda in mind, the conference promises to have a unique focus on how both men and women can harmonise their efforts so that women can increase their capacity to take on leadership roles and responsibilities. The keynote speech is slated to be given by Professor Laura Serrant, OBE reflecting the conference theme of Resilience and Readiness in a Global Environment. Other presenters are to include Hensley Daniel, Public Policy Consultant and Former Deputy Premier of Nevis, Patricia Walters, CEO of the Cable, Faron Lawrence, President of the Chamber of Industry and Commerce, Dr Tamu Browne, Entrepreneurship Coach, and Ingrid Charles-Gumbs, Former Director of Gender Affairs in St Kitts. Notably, Ms Sheryll Cadogan, who has St Kitts heritage, will be using techniques from her “Womanhood Academy” in a special workshop with local youths. An award-winning actress and Director of her own Charity, Reality Bytes UK, Cadogan specialises in inspiring girls to utilise their talents and prepare them for success at all levels of society. On the second day of the conference, a limited number of ‘jump-start’ coaching sessions can be reserved by attendees on a first-come-first-served basis at registration on 1st March. The importance of the conference has been noted by both organisations in the Federation and regionally.